Verification of liabilities is equally important as that of verification of assets. The Balance Sheet will reveal the true and fair view of the state of affairs of the business concerns only when the liabilities as well as assets are properly valued and verified. 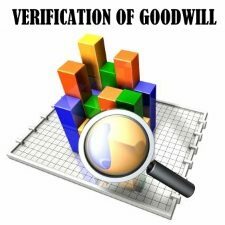 Verification of liabilities aims at ascertaining whether all the liabilities of the business are properly disclosed, valued, classified, and shown in the Balance Sheet. 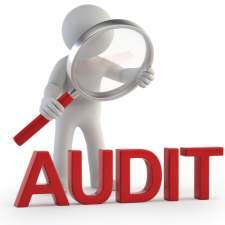 The auditor should see that they are correctly stated in the Balance Sheet. He should obtain a certificate from the responsible official as to the correctness of liabilities. “The auditor is liable for omission of liabilities from the balance sheet, if such liabilities could be detected by the application of reasonable care and skill “. This was held in the case of Westminster Road Construction and Engineering Co. Ltd.
all the liabilities have been clearly stated in the liability side of the Balance Sheet. they are all relate to the business itself. they are all correct and authorized by the responsible official. they are shown in the Balance Sheet at their actual figures. We shall now discuss the verification and valuation of various liabilities. 1. The correctness of liabilities depends upon the correctness of purchases. Hence, the auditor should compare the percentage of gross profits to purchase with that of the previous years to verify the correctness of purchases. 2. The auditor should obtain a Schedule of creditors and verify them with the balances of ledger accounts and statements of account received from creditors. 3. He should check the Purchases Book and Purchases Returns Book with the help of invoices, credit notes, etc. He should also check the postings into the Ledger. 4. He should examine the Goods Inward Book to ensure that the goods purchased have been actually received. 5. He should see that all the purchases made during the year have been accounted for especially at the end of the year. 6. He should examine the discount allowed to creditors during the period and see that these substantiate the credit balances. 7. In case of hire purchases, the auditor should see that the conditions of Hire Purchase Agreement are properly complied with. 8. He should examine the entries made at the beginning as well as at the end of year to check the employees have passed any fictitious entries in this regard. 9. If any debt is found unpaid for a long time, an enquiry should be made since it is possible that instead of paying to the creditor, the amount might have been misappropriated. 1. The auditor should obtain a Schedule of bills payable and its totals should be compared with the Bills Payable Book and Bills Payable Account. 2. The bills paid after the Balance Sheet date should be examined with the entries passed in the Cashbook. 3. The auditor should obtain confirmatory statements from the drawers directly with the permission of his client. 4. He should pay special attention to the bills that have been paid between the date of the Balance Sheet and the date of his audit have been duly written in the books. 1. The auditor should verify the existence of loans, if any. In case of a company he should examine the correspondence, contracts, and Directors’ Minute Book. 2. 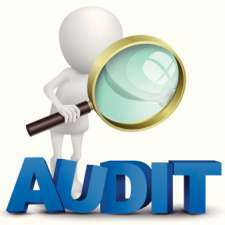 The auditor should ascertain the terms of loan, amount of loan, period and nature of loan, etc. by referring to the loan agreement. 3. He should confirm the balances of the unpaid loans directly from the creditors of the company with the permission of his client. 4. In case of loans or overdrafts taken from a bank, an agreement with the bank and a certificate to that effect should be obtained and examined. 5. The auditor should see whether the interest due has been paid or not. If the interest is due but not paid till the date of the Balance Sheet, he should see whether the same has been clearly shown as liability therein. 6. 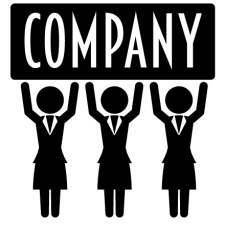 In case of a Joint Stock Company, the auditor should examine the borrowing powers of the company. He should also examine the Register of Charges, and should see that a charge created has been registered with the Registrar. 7. It should be seen that the interest on loans has been paid up to date. If not he should see whether the amount due is recorded as unpaid in the books of accounts. 1. In case of outstanding liabilities, the auditor should obtain a certificate from a responsible officer of the company stating that all expenses become payable have been brought into account. 2. He should see whether necessary provision for all the outstanding expenses have been made by checking receipts and other vouchers. 3. He should compare the expenses shown as unpaid during the current year with those of the last year and if he finds any difference, the same should be enquired into. In case of first audit, the auditor should examine the Memorandum of Association to see what is the maximum capital, which the company is authorized to raise. He should also check the Articles of Association. The Cashbook, Passbook, and Minute book of the Board of directors should be examined by the auditor in order to find the amount of shares and different classes issued, the amount collected on each shares, and the balance due from the shareholders in respect of calls, etc. 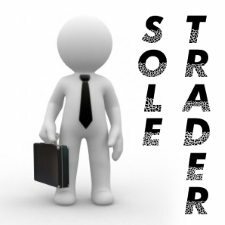 The shares allotted to vendors, should be examined with the contract between the vendors and the company. 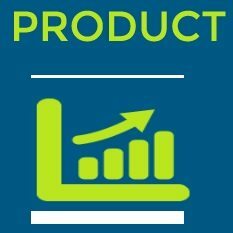 Normally, in case of subsequent years, the share capital would be the same as in the previous year unless the company has made any alteration or addition by fresh issue or otherwise. If he come across any change, he should see that the relevant provisions of Secs. 94, 95 and 100 to 105 of the Companies Act have been duly complied with. Reserves and funds are appropriations out of profits. The directors of a company determine the amount of reserves and funds to be created taking into account the circumstances of the business. The reserve and funds are to be shown on the liability side of the Balance Sheet with footnotes. 1. In case of debentures, the auditor should verify the Memorandum of Association and the Articles of Association of the company and ascertain the power of the company to issue debentures. He should find out what is the borrowing limit and ensure that the company has not exceeded the same. 2. He should verify the Debenture Trust Deed to verify the amount of debentures issued and securities offered. If necessary, he can obtain a certificate from the debenture holders to verify the amount of debentures issued. 3. He should enquire as to what arrangement has been made for the redemption of debentures. In case debenture redemption fund has been created, he should verify the Articles of Association. 4. If the debentures are issued at premium or at discount, the auditor should see that the debenture premium and discount on issue of debenture are properly dealt with in the books of account. 5. He should verify Register of Charges and Register of Debenture Holders to see that the debentures shown in the Balance Sheet agree with the debentures recorded in the books of account. Sometimes the firm receives some amount in advance, which is to be actually received in the next year. It is treated as a liability and should be shown in the liability side of the Balance Sheet. The auditor should verify whether the items of incomes received in advance are recorded in books. 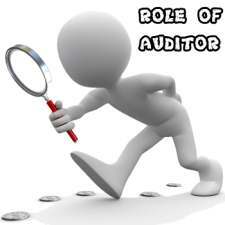 The auditor should obtain a Certified Schedule of income received in advance and verify the same. He should ensure that income received in advance is fully shown in the liability side of the Balance Sheet. In commercial and industrial establishments, it is usual to require the employees.who deal with cash or stores to give security deposit. It acts as a safeguard against some possible misappropriation or pilferage on the part of such employees. Sometimes, the employees instead of paying cash as security deposit endorse trustee securities in favor of the employers. In such cases, the auditor should see whether such a security in cash or in securities deposited separately in the bank. He should see whether they are shown distinctly in the liabilities side of the Balance Sheet. He should verify the amount of deposits by reference to the Certified Schedule received from the client. 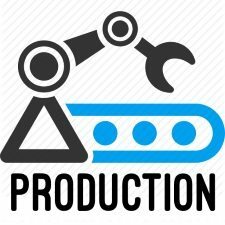 Now-a-days, taxation has become an important liability and so the companies are required to make full provision in the accounts in this regard. The auditor should see whether the provision made therefor is sufficient to meet the estimated liability. Usually, auditors are required to advise on the adequacy of the liability and in such a case, they work as tax consultant.